Alcatel OneTouch will unveil its new Pixi 3 series at CES, a unique range that's compatible with three operating systems. 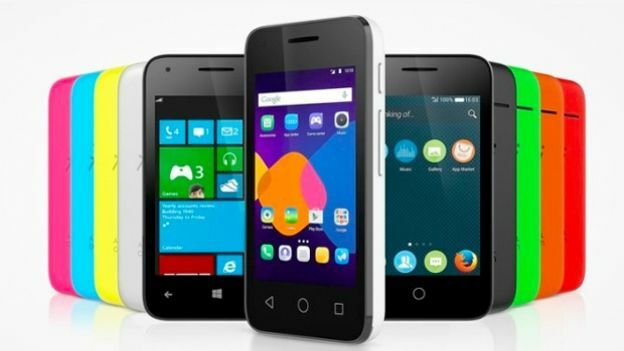 Alcatel OneTouch announced the Pixi 3 series in a press release yesterday. The successor to last year's Pixi 2, the new series comes in 4-inch, 4.5-inch and 5-inch sizes with 4G built-in, although there will also be a smaller 3.5-inch version with 3G connectivity. However the most eyebrow-raising thing about the devices is that they can run one of three mobile platforms; Android, Windows Phone or Firefox OS. "Our users do not want complicated systems-- they want something familiar from their work environment in the office, but also on a smartphone," said Alcatel OneTouch Chief Marketing OfficerDan Dery. The press release, which describes the range as 'OS agnostic', doesn't specify if the devices will run all three platforms or if there will be different models to choose from for each OS – we'll just have to wait and see. Meanwhile in other Alcatel news, the company also announced on Friday that it's releasing an affordable smartwatch, simply called the Alcatel OneTouch Watch. The sleek wearables are able to take calls and send our text messages, as well as offer an integrated heart rate sensor, fitness tracker and music playback control. You won't have to wait long for details as Alcatel will debut all its new tech at CES next week. T3 will be on hand in Las Vegas to report all the latest.